For nearly a century, magnificent equines have roamed the hills and paths of historic Harlinsdale Farm. 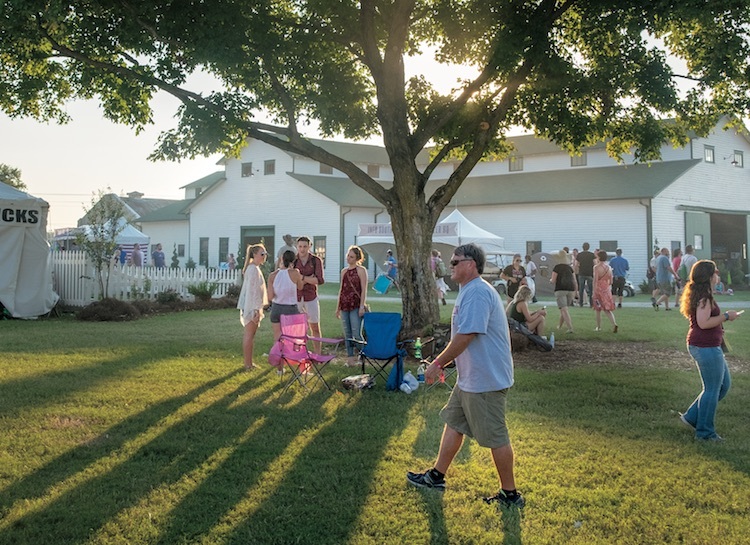 Located on the edge of downtown Franklin, the 200-acre property was a working farm for seven decades before being sold to the City of Franklin in 2005 and turned into a passive park a year later. 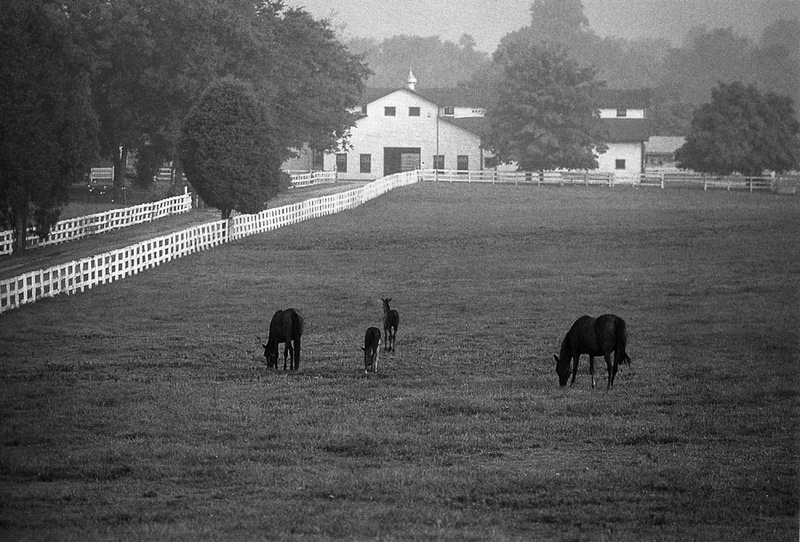 Today, the scenic farmland looks much the same as when it was an active breeding operation, and horses continue to play a large role at The Park at Harlinsdale Farm. 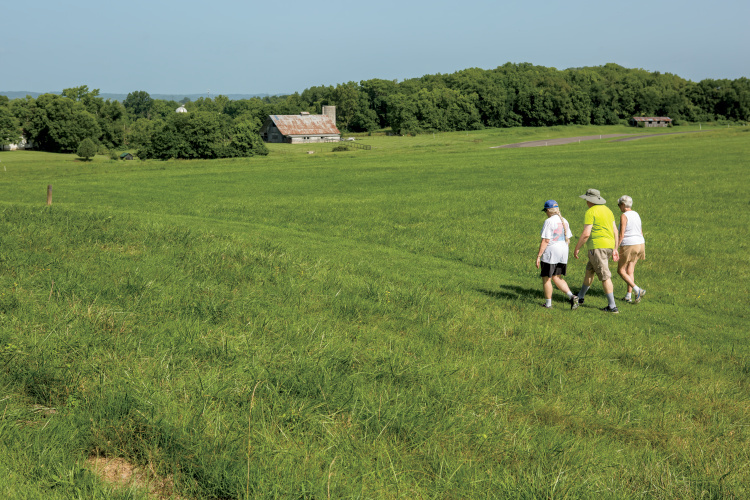 Harlinsdale’s prime location made it particularly attractive to developers, but both McInturff and Warwick say it was important to the Harlin family – and to the city – to keep the land intact. “We were one of the leading agricultural counties – that is our heritage,” says Warwick. 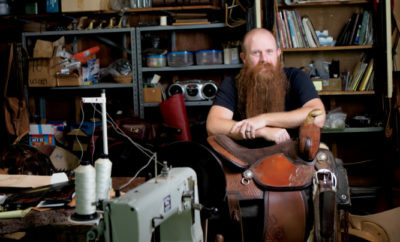 “Now we’re raising houses,” he added of the region’s rapid growth. 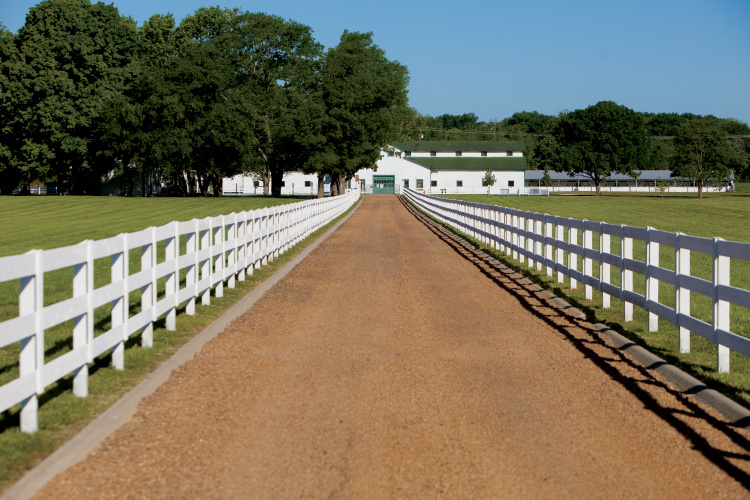 Warwick says that significance earned Harlinsdale Farm a listing in the National Register of Historic Places in 2006. McInturff, who also serves as the immediate past president of the Friends of Franklin Parks Board of Directors, explains a passive park is one that keeps its open spaces and doesn’t build new structures like baseball fields or tennis courts. However, he’s quick to add, passive parks are filled with activity. The Park at Harlinsdale has miles of walking trails, plenty of area for picnicking and throwing Frisbees, a canoe launch on the bordering river, a popular dog park – and of course, plenty of space to ride horses. Friends of Franklin Parks has also brought private dollars to the public park to upgrade existing facilities, including a $1.5 million update to the arena area. “We’re in the process of turning one of the buildings into a museum so we can tell the story more clearly,” McInturff says of sharing the farm’s history. Another focus, Warwick adds, is the addition of a bridge across the river to connect the park area to downtown Franklin. “It’s going to be a great river walk for anyone in any season,” says Warwick, noting the path will add a scenic way to get exercise. 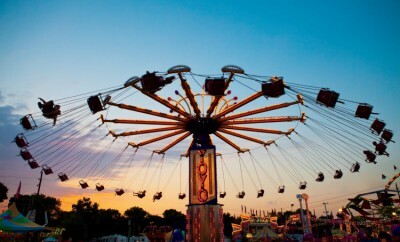 With plenty of open space and the equine structures already in place, the park is also the site of numerous horse shows, polo matches and community events including the Great Americana BBQ Festival and the popular Pilgrimage Music & Cultural Festival. 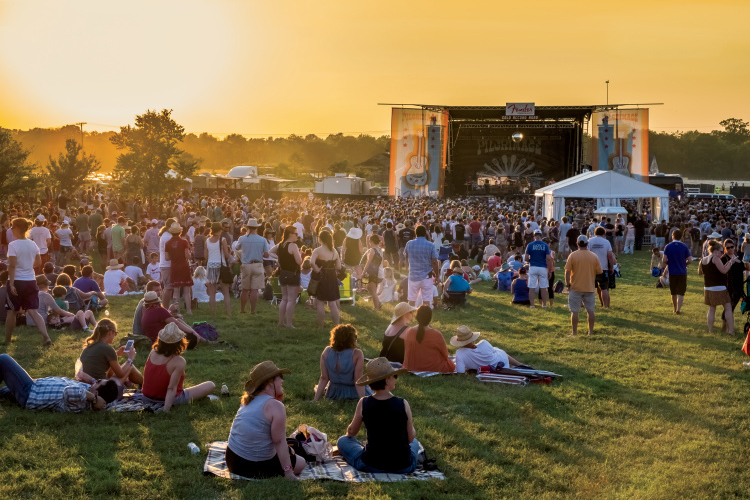 The Foo Fighters, The Killers and Keith Urban are headlining the 2019 Pilgrimage Festival. 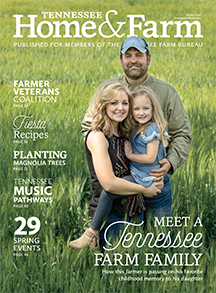 With a booming agritourism business, Tennessee has numerous farms open to the public for fishing, tours, seasonal events, markets and festivals throughout the year. Whether berry-picking in the spring, finding the perfect pumpkin in the fall, or searching for just the right Christmas tree, there are options in every part of the state. 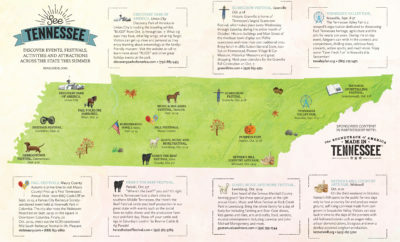 For more information on farm offerings, download the Pick Tennessee mobile app or go online to tennesseeagritourism.org. While many operational farms welcome visitors, few have been preserved for the public once active farming ceases. In addition to The Park at Harlinsdale, there is Shelby Farms Park in Memphis, which maintains a thriving buffalo herd, as well as miles of hiking, biking and horseback riding trails.